Everyone loves to capture the moment — especially when at a party with friends. That's why we partnered with Coke for this post. 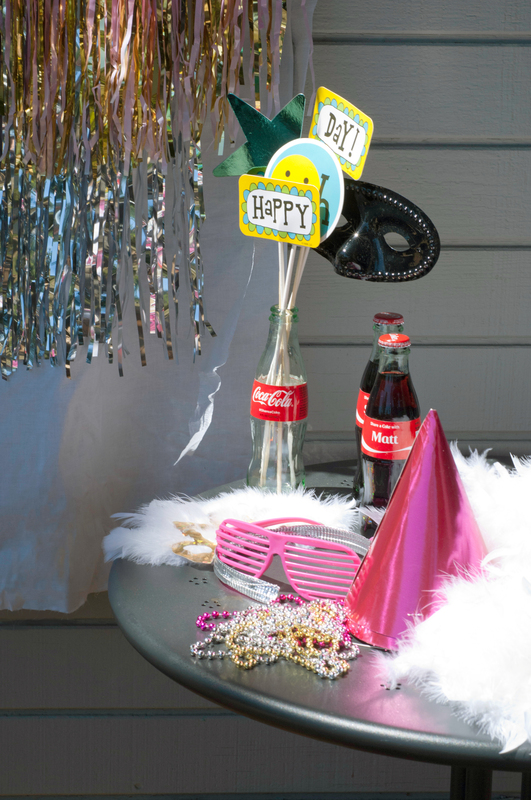 Create a hangout with a selfie station that works for whatever party you are throwing. And you can personalize the look with colors that are from your wedding or that tie in with the special occasion. It's a fun way to get everyone involved with snapping pics, which you can keep in one place thanks to a shared hashtag for the event. What's even better is this setup is made to travel, turning into a movable backdrop. 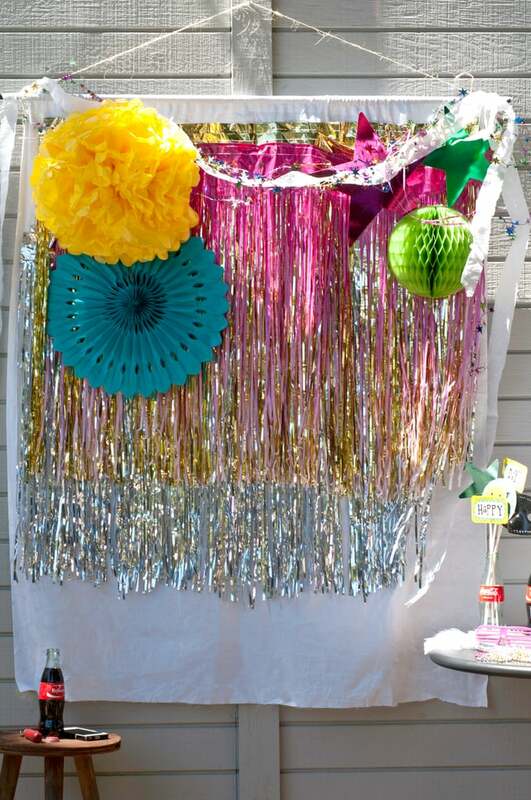 Create the base for the selfie station by folding over the top edge of the white fabric, creating a pocket for sliding in the dowel or curtain rod. 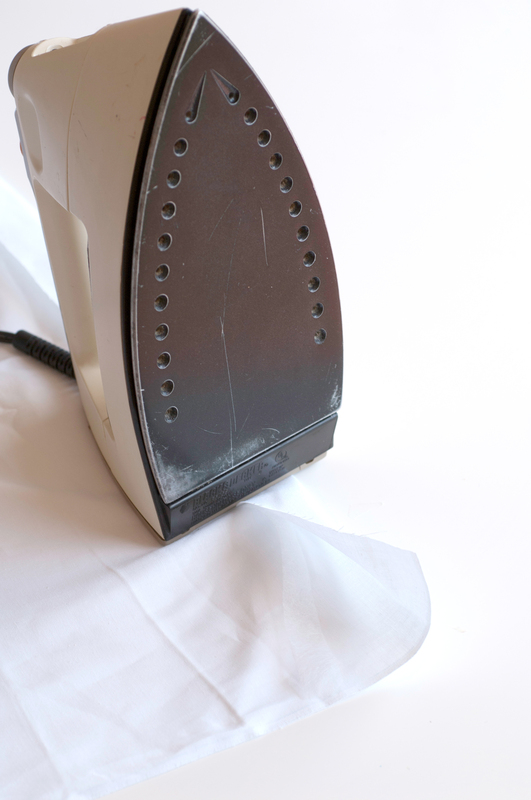 Hold in place with iron-on fusing web, which you can find at most fabric stores. For a really solid background, you want to create layers of shimmering color, so cut two 4-foot sections from the metallic skirting in what you want to be the base color of your selfie station. Hot glue the first length around 4 inches from the top of the fabric, then follow with the second section. 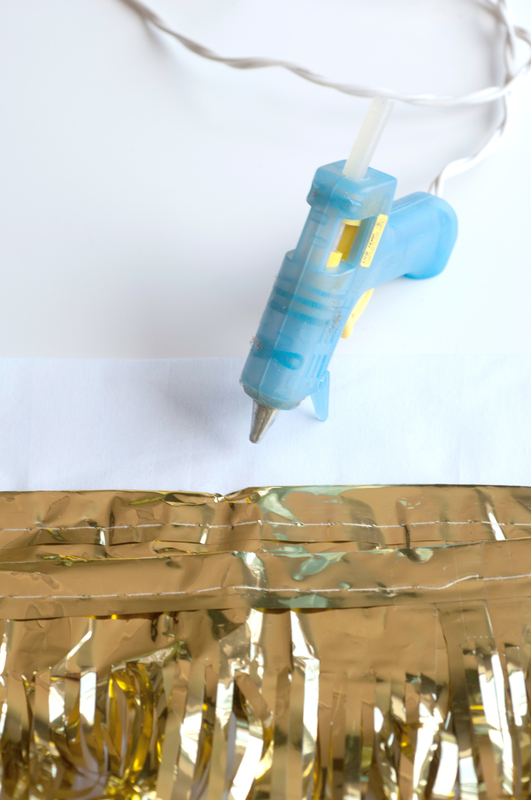 Make a second layer of color — or use even more of the same color — and repeat step two, but glue the sections about a foot below the first sections of metallic skirting. For an extra pop, glue a final layer of color. We found an ombré hula skirt at the party store that was perfect. 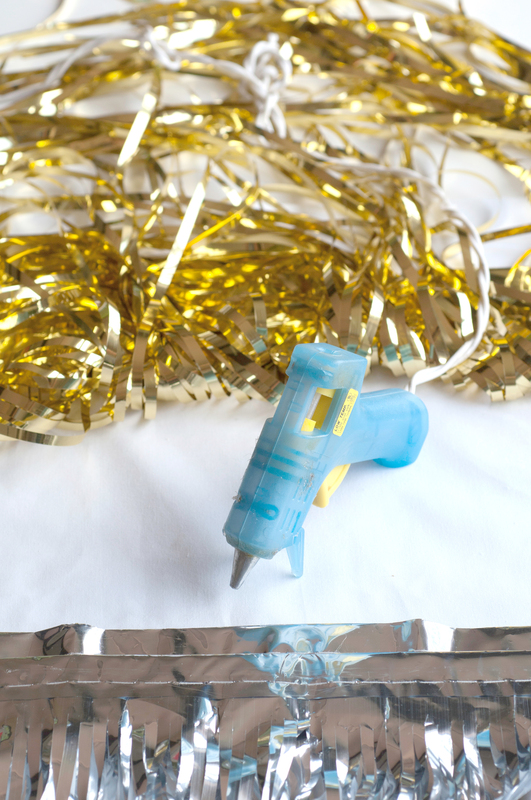 Glue over the top of the first layer of metallic skirting, then slide the wooden dowel or curtain rod through the top, and you're ready to create selfie station decorations. 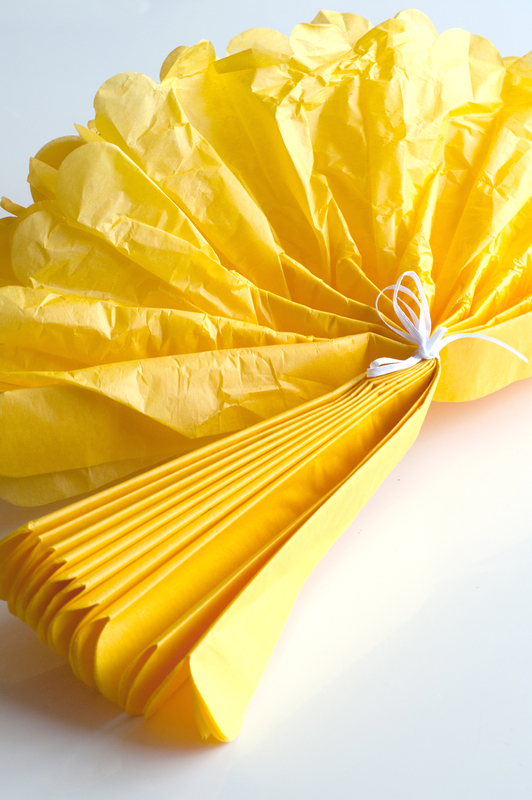 Make colorful tissue paper pom-poms that help frame the area where people will be taking pictures. The pom-pom directions are so simple. Use colors that fit your party theme or go crazy with contrasting colors. 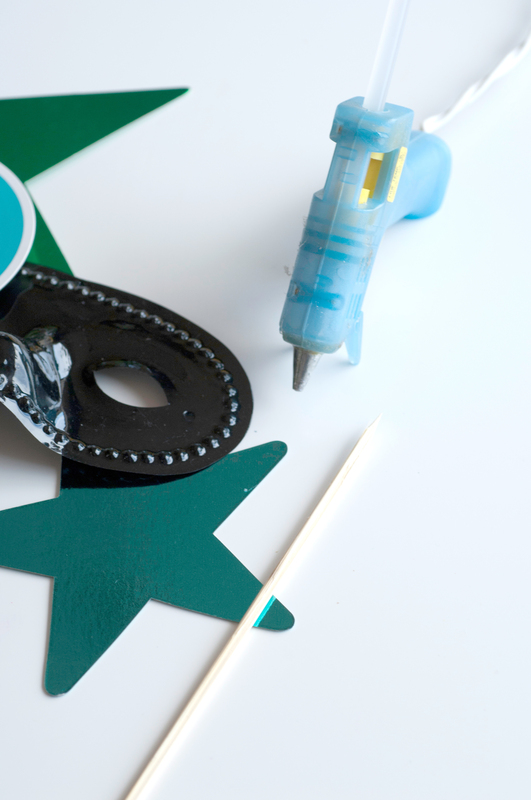 Create cute photo props with finds from your local party store, a hot glue gun, and wooden skewers. You can even personalize the props and cut out shapes or letters from cardstock. The more the better! To hang the selfie station, cut a length of twine and tie at both ends. This makes it easy to put anywhere. Find the perfect spot indoors or out, and start assembling after hanging. Twist garland over the top, add streamers, and add all your tissue paper pom-poms. Set up a spot for all your photo props along with a side table for people to put their phones while jumping in group shots, and you're ready to party. And once you're finished, remove the decorations, pull out the dowel or curtain rod, and roll up the backdrop so it's ready for next time. Create your own custom Coke!